The table lamp ZAUBERHUT has a slim, simple base made of iron, which leads up to the interesting shade. The light bulb is surrounded by a golden metal spiral, which plays with the light and provides for effective lighting. 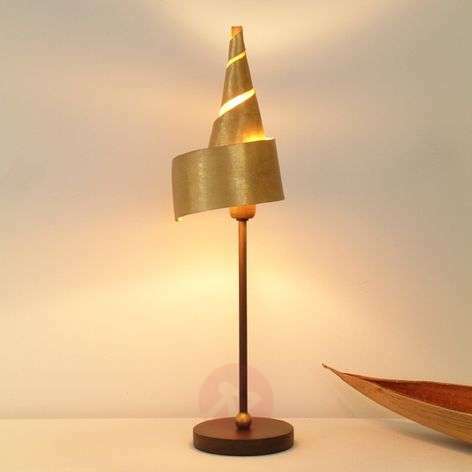 ZAUBERHUT is an extravagant table lamp in a stylish design.